Stacken is a computer club for students and staff at KTH. The goal is to provide a more independent way of absorbing computing knowledge than through the schools courses. Founded in 1978, the club is a part of the Student Union at the KTH. We have a club room on floor 2 in the Q-building (to the left and down one flight of stairs from the main entrance), in former terminal room XQ7 (50:16 A:237). Q-Huset has entrances at Malvinas väg 6 next to the restaurant and at Drottning Kristinas Väg 53C at the bridge that crosses the Roslagsbanan light rail line. On thursday evenings we usualy gather somewhere to eat, after deciding on where to eat in Jabber. After eating, we go to the club room and hack away the rest of the night. Today, the club has about 90 members, doing everything from building computers to programming at all levels, systems support, networking, courses, etc. We are connected to sunet, giving access to computers around the world. You can find our bylaws at this page (in Swedish). If you are interested in how Stacken is managed or if you want to be involved in the association, then read more on the page "officers". We are located on level 2 in the Q building. The location of our clubroom can be found here. If you want a more detailed instruction you can find that on this page. The easiest method to reach us is via e-mail styrelsen@stacken.kth.se. 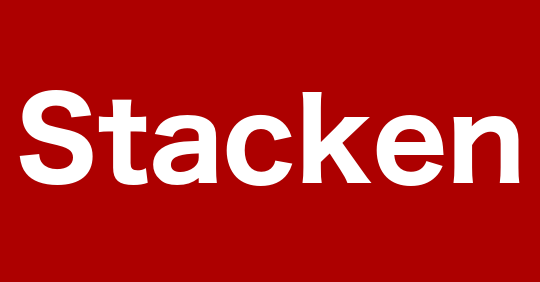 If the questions are regards to help, donations or is about a technical issue, then e-mail staff@stacken.kth.se. You are always welcome to join us in our clubroom on Thursday from 7pm. Let us know to be sure that we can help you when you are here.